Sometimes I like to talk about what I am currently into that is not book related. Here's what I have been obsessed with lately. Let me know what you think! 2. 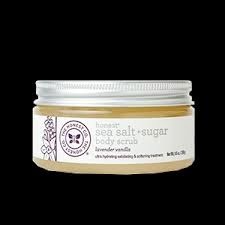 The Honest Company's Sea Salt and Sugar Body Scrub - I am always on the hunt for all natural skin products and I recently tried this new scrub. I love it! It smells fantastic (Lavender Vanilla) and does a great job exfoliating. I've tried a few sugar scrubs in the past (Arbonne in particular) and I prefer this one. New to the Honest Company? Check out my invitation here. 3. 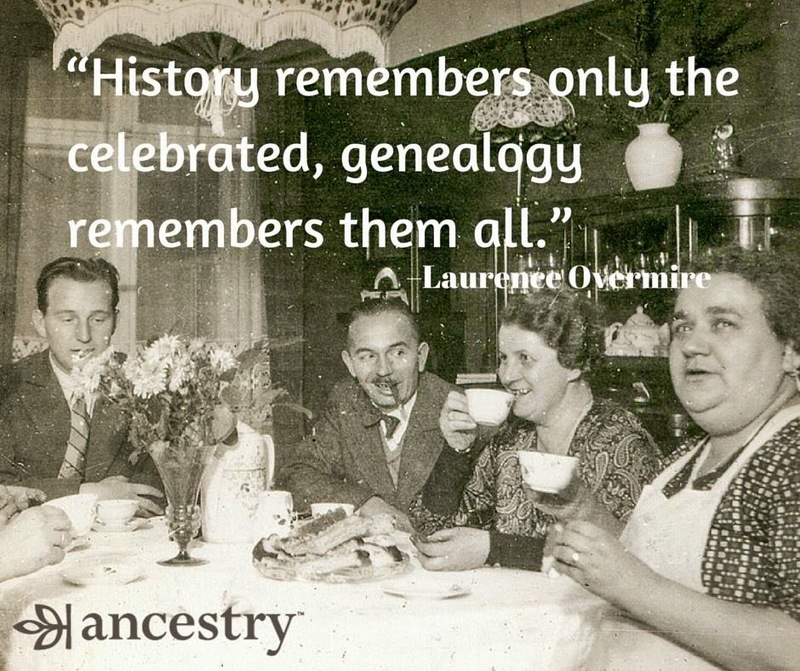 Ancestry.com - I made a goal in 2015 to learn more about my ancestors. I am truly a mutt, so I wanted to learn more about where in Europe my family was born. My dad even completed the DNA kit through them, so we got back some very interesting results. Ultimately, I wanted to find out where in Ireland my grandmother's family was from and also get some answers regarding my paternal grandfather's side, because things got fuzzy regarding ancestry after WWII. Let me tell you…it has been incredible. I am able to track down so much information and I recently found out my great-grandfather served in WWI, which I didn't even know! 4. Vitamin D Spray - I found out this past fall that I am low on vitamin D. I nearly fell over when my doctor reported it. Me, the beach bum and sunshine lover, am low. I couldn't believe it, but then I remembered that I sort of went crazy over sunscreen this summer, thanks to my dermatologist making me uber paranoid. I decided to try out Dr. Mercola's Vitamin D spray and I am hoping it helps me out this winter since I live where the sun doesn't shine till about April. I will let you know if it works when I get my levels checked next month. I recently read that most people (unless you live in Florida, etc) are now Vitamin D deficient?!? 5. Parenthood - Guys, I am in complete denial about the end of this fabulous show. No other show on TV currently makes me cry like a little baby. Seriously. Every time my husband sees me watching this show, he asks me if I need my tissues. It's, like, expected. I find myself at the end of the episode in a puddle of tears. I am actually an episode behind because I can't bring myself to watch the next one. It's that bad. Happy Friday! Let me know what you think! If you have any great juicing recipes, please share! I take vitamin D pretty much daily (or whenever I remember) since the sun barely shines here at all! Love the sound of that sea salt body scrub! Our winter weather is very much like Ireland's, but colder here…so I guess I should have been taking vitamin D in the winter all along. I think you'd like the sea salt scrub, Leanna! Thanks for visiting and have a great weekend! I've always wanted to get on the juicing revolution as well, but can't find the right equipment. Do you have a recommendation for something small and easy to use? 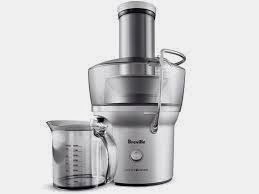 The Breville Juicer is fairly reasonable price wise and is pretty compact. The link is in my post, but I don't know too much about what is out there. This one was the right size and highly rated, which is why I went with it. Thanks for visiting, Joy and have a great weekend! Oh, I love "Parenthood," too -- my sister got me hooked. I can't believe it's all wrapping up now! I've been a little afraid to watch the episodes, too, because I just don't want it to be over . . . and I really hope we end on a positive note! Me too. I don't want it to be over as well. I am hoping Zeek doesn't die at the end, because that would just be utterly depressing. I sob like a baby after I watch each episode. Thanks for visiting, Meg, and have fun at your gender reveal! So exciting! Oooo I want to try some of your juice concoctions Christina!!! I'm not a big eater of fruits and vegetables, so that would definitely be a good way to get some in my system:) Love the sound of that scrub too! That's exactly what I was thinking, Jenny. I tend to not eat as much fruit in the winter, so I am hoping this will remedy that situation. Thanks for visiting and have a great weekend! Hmm, there was a fantastic cookbook that came out recently with some great juicing options; I'll try to do some research and remember the name, Christina! I'm kind of jealous of your juicer - so shiny and new! What a great idea to fit in more nutrition - kudos! I've tried a couple of items from The Honest Co. but not this one; I think everything they make smells amazing. I need to finish watching Parenthood; I've only seen the first season, so this would be GREAT for treadmill time! Please let me know about the vitamin D spray; if you get good results, I'm buying some! 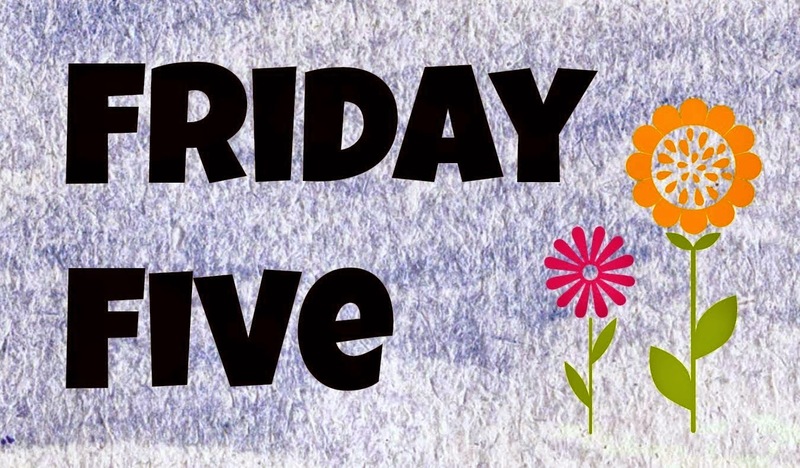 Great post, Christina; I always love the Friday Five! Thanks, Tara! Let me know. I hope it helps me get more fruits and veggies into my system. I really like the Honest Company as well. At first, we just used all the products just for my kid, but now I am starting to really enjoy their stuff geared towards adults and their cleaning products. OH MAN! Parenthood would be great for treadmill time. I hope you can get caught up. Thanks for visiting and have a great weekend! The Vitamin D spray sounds like a good idea. I'm sure I don't get enough sun or Vitamin D in my diet. Maybe it will help lift the winter doldrums too! Ohhh! You would love Parenthood, Christina! I hope you get to watch it. Lauren Graham is the best. The Vitamin D spray is pretty great. I get my blood test results in a few weeks, so I will let you know if it is working. Thanks for visiting! Winter can't help either! I need to check this spray out.